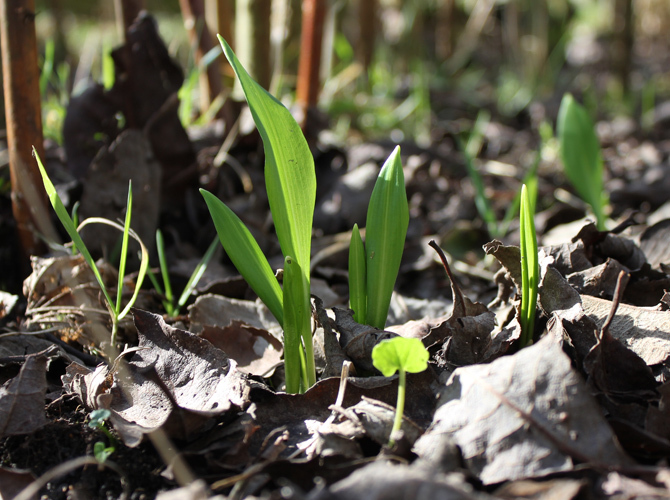 I was very excited to see today these wild garlic leaves emerging from a shady spot by the compost bins. Last spring I foraged a few plants from the side of lanes where it grows in abundance and transplanted them to the allotment. I adore the smell of wild garlic and the balls of tiny white flowers are so pretty and delicious to eat.